Gareth Southgate will be confirmed as permanent England manager on Wednesday. The 46-year-old will sign a four-year contract it is reported will earn him between £1.5m and £2m per year. Southgate, who had a four-game stint as interim manager following Sam Allardyce's departure, was interviewed last week by a five-person panel. 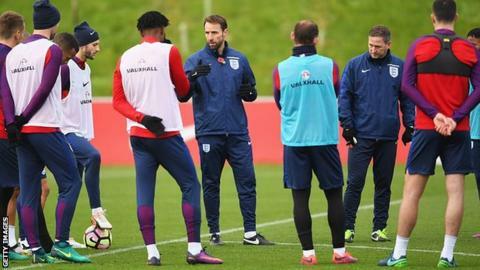 The decision to appoint the former England Under-21 coach as permanent boss will be ratified at a Football Association board meeting. England won two World Cup qualifiers - 2-0 against Malta and 3-0 against Scotland - and drew 0-0 in Slovenia during Southgate's short spell in interim charge. They also drew 2-2 with Spain in a friendly. Wednesday's FA board meeting is also likely to dedicate a large amount of time to discussing football's historical sexual abuse scandal and safeguarding measures in the sport.